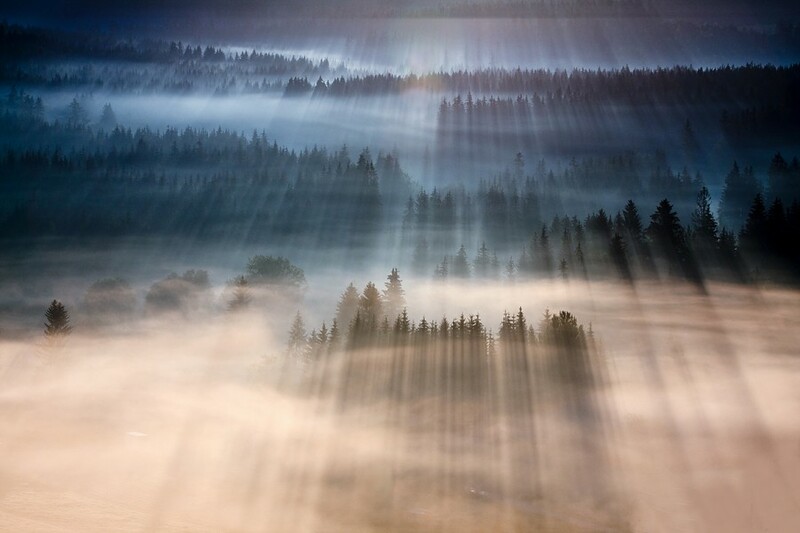 Marcin Sobas is a master of landscape photography. He was born and lives in Poland, Silesia region. Marcin has a master’s degree in economy and has been developing his professional career in IT. Marcin has always been fascinated by the charms of nature. His every artwork looks fabulous and impressive and absolutely obviously shares all the fascination of nature. Marcin says that his favorite themes are rolling farmlands, foggy mornings in the mountains and by the lakes. Through every single picture, Marcin tells us a different story where the light and conditions are the main characters. He says that these two factors make the world look extreme and unreal at various times of a day and year. Landscape photography is the best kind of photography to show one side of the beauty of our wonderful Earth. In the future, Marcin plans to check himself in other areas of photography like birds and wildlife photography which he finds fascinating. Marcin hopes that someday he will manage to fulfill his greatest dream – to visit all continents of the Earth. I wish Marcin to make all of his dreams come true, and i sincerely believe that this will happen very soon. Thank you, Marcin, for an amazing artwork and we are looking forward to seeing more.